I know it’s a tad bit early to be talking about Christmas, but I just can’t help thinking about it. Since I have committed myself to handmade gifts this year, I need to do some serious planning in order to get all my gift giving accomplished. So I thought you also might enjoy me sharing some holiday gift giving ideas a little earlier than normal…….perhaps you are going handmade as well! The following tutorial was not entirely my own idea. 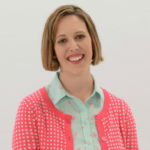 I had posed a question over on “The Cottage Mama” facebook fan page in regards to the projects everyone was working on and several women chimed in and said they were working on hooded towels for children. Well, this little discussion reminded me that I had been wanting to make some giant sized hooded towels for my own girls. I love the little baby hooded towels, but they seem to grow out of those so quickly. And the larger sized towels that I see in some of the popular catalogs are just a little too pricey for me. I think these would make a fabulous Christmas gift the younger people in your life. 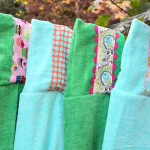 You can be as creative as you would like with these and it’s a great way to use a small amount of your beloved fabric stash (yes, I know there are others of you out there that are fabric hoarders like myself) to really make a statement on this one-of-a-kind towel. 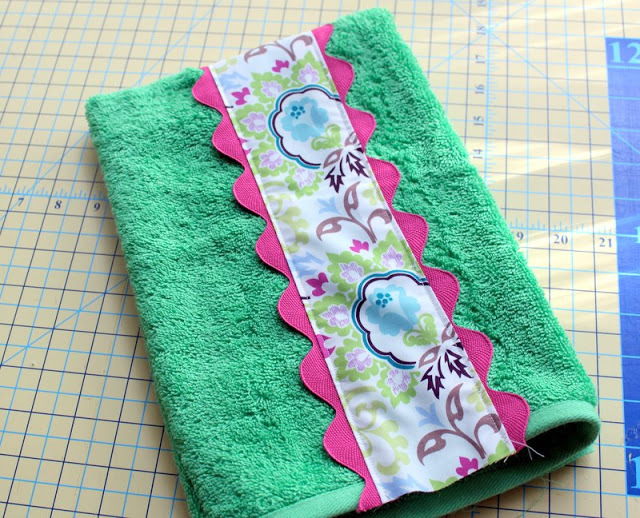 Cut hand towel to approximately 24″ long. If it is a little shorter or longer, that will be fine. I just cut off the one end that looked a little different than the other. 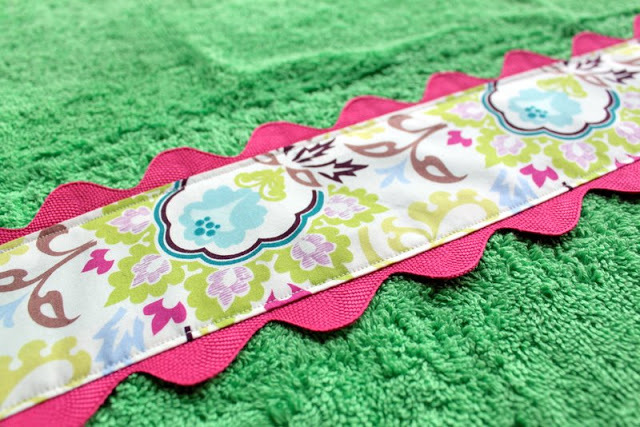 Cut your strip of fabric 4″ x 25″ (allowing an extra inch longer than your hand towel). 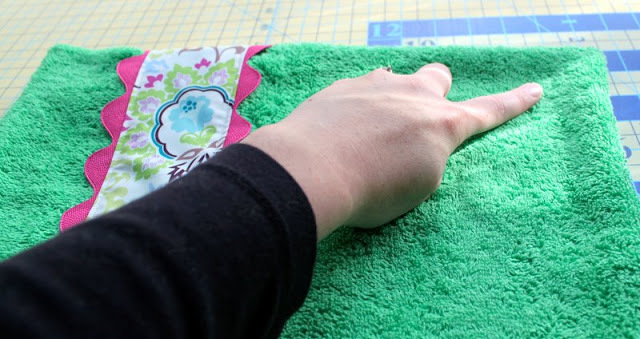 If you used a different length for your hand towel, just add one inch for the fabric. 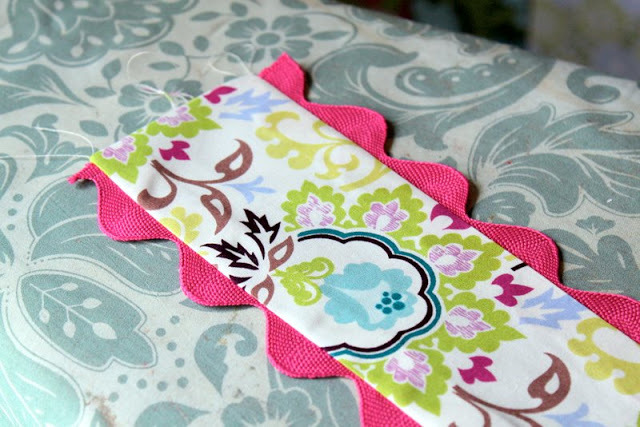 Pin your ric-rac (2 pieces also 25″ long) along the raw edges of both sides of the right-side of the fabric strip. Stitch in place. 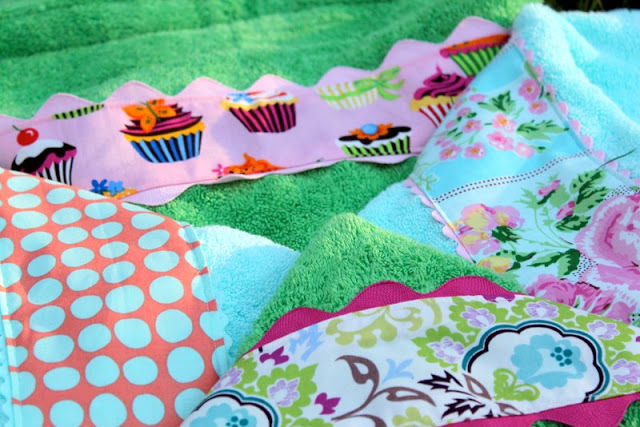 I used different sized ric-rac for several different towels. The one seen here is jumbo. 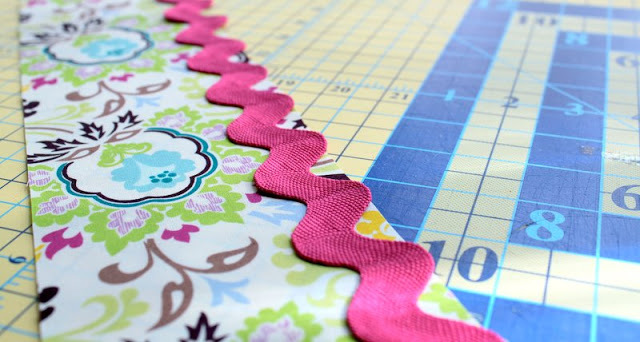 Base your seam allowance on the size trim you have. You want the waves of the ric-rac poking through the other-side, so adjust accordingly. 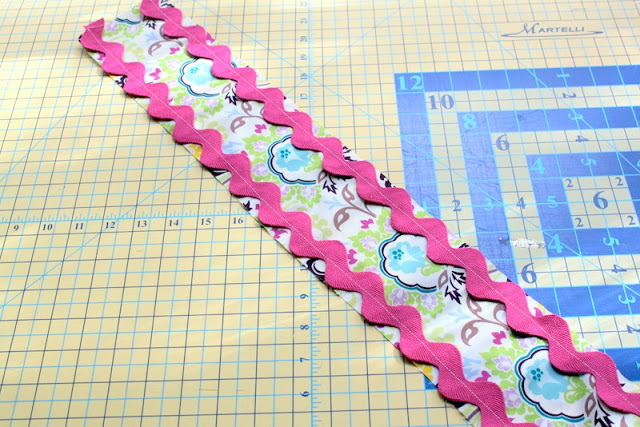 Your best bet is to stitch straight down whatever size trim your are using. With a hot iron, press the ric-rac to the other side. Do this on both sides. Press again with a hot iron to set in place. 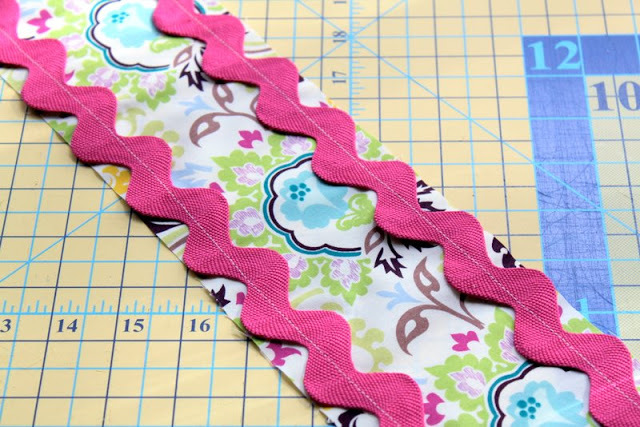 Here is the fabric strip with the ric-rac sewn in place. 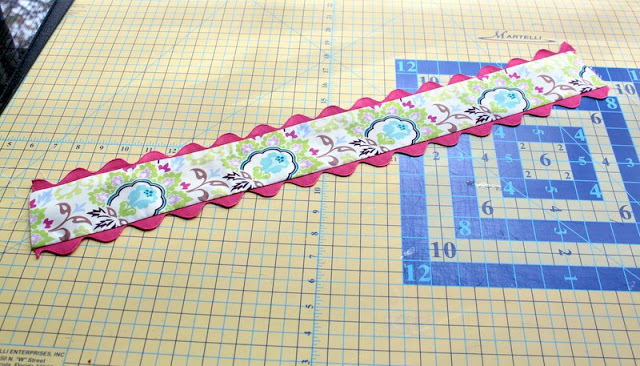 If you use smaller trim then your fabric strip will be wider because you will not have turned as much under. 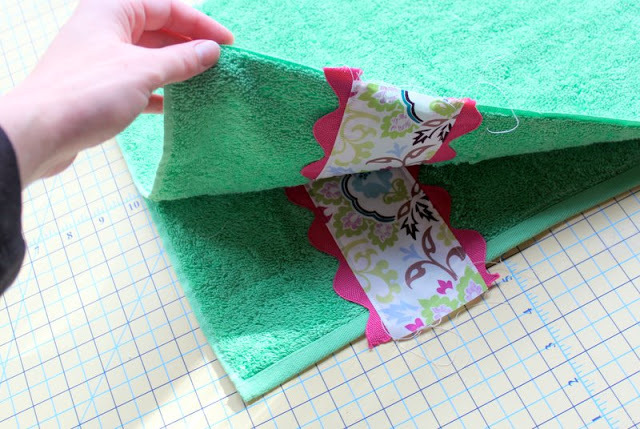 Fold the hand towel in half (length-wise) and pin fabric strip approximately 1/2″-1″ from the fold. 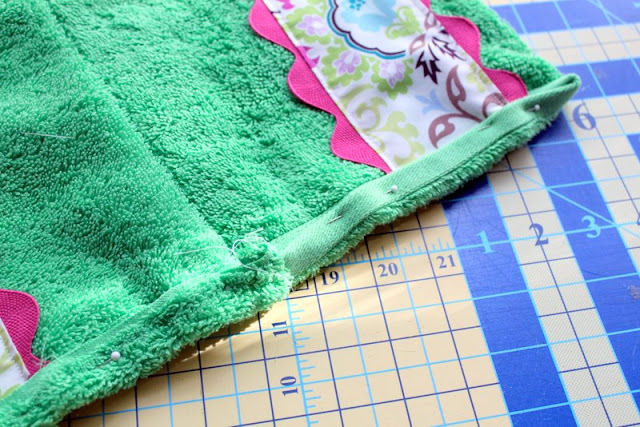 UNFOLD the towel and top-stitch down both sides to secure in place. 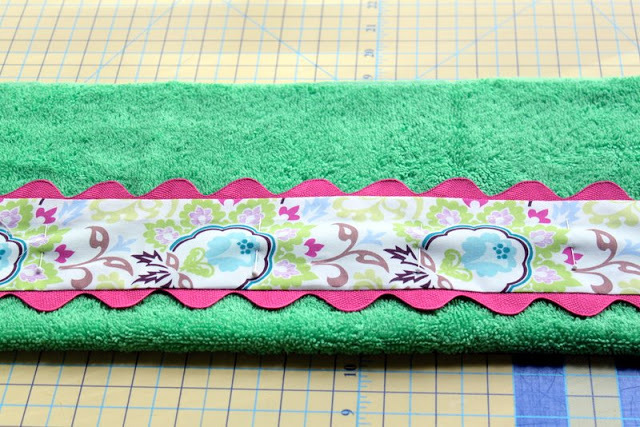 Above is the fabric strip sewn in place on the hand towel. 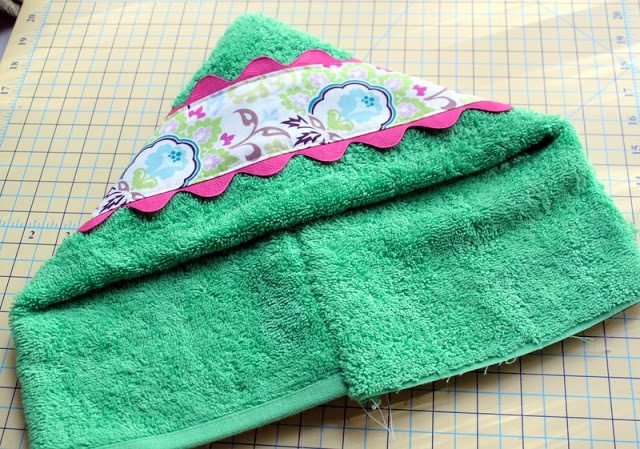 Now fold the hand towel the other direction – width-wise with right-sides together. 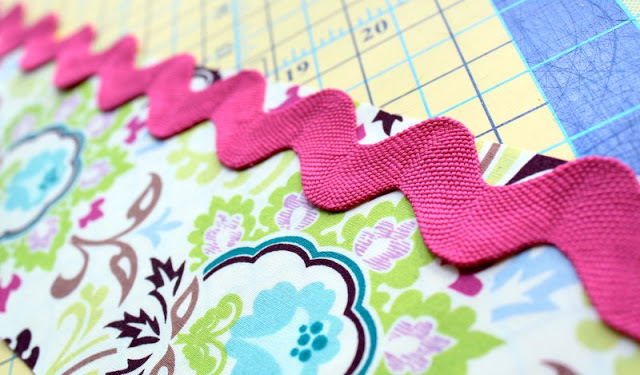 Stitch down the right and left sides. Do not stitch the open end where you see the raw edges of the fabric. 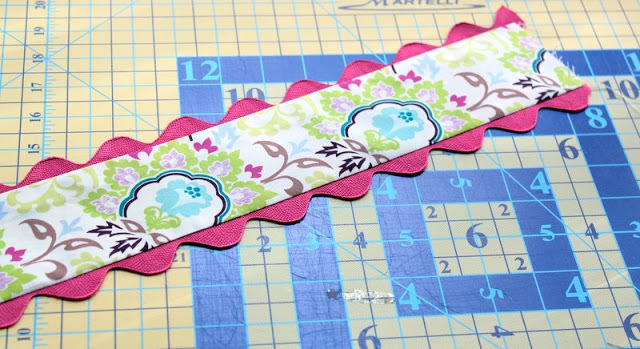 Use approximately a 1/2″ – 5/8″ seam allowance. Turn hand towel right-side out. Take the corner of the hand towel that I am pointing to in the picture above and tuck it into the opposite corner. Tuck the right corner inside the left corner. Then open up your hand towel and now you have formed the hood. You will notice after tucking the corners that you have one side that is a little longer than the other. 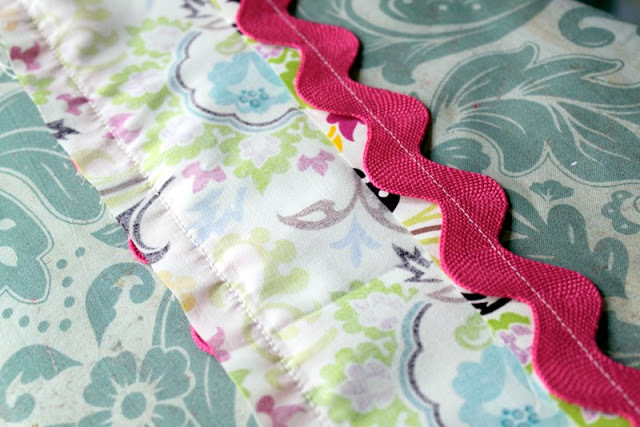 Fold this over and stitch into place in order to conceal the raw edges of the fabric. I must have gotten too excited about nearing completion on this project because I didn’t take a picture of the final step (sorry). 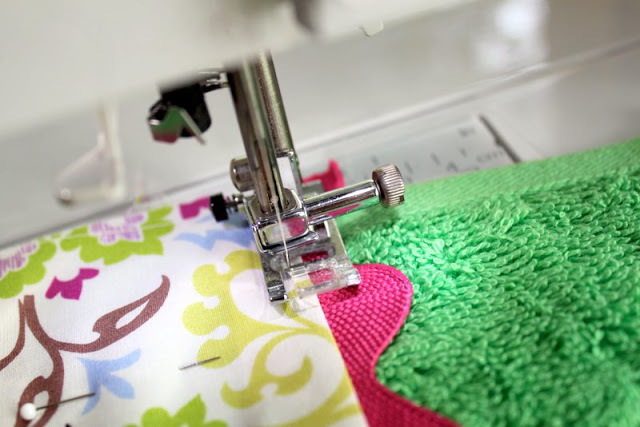 Pin the center of the hood to the center of the bath towel (right-sides together)……stitch into place using a 1″ – 1.5″ seam allowance (yes, a large seam allowance). 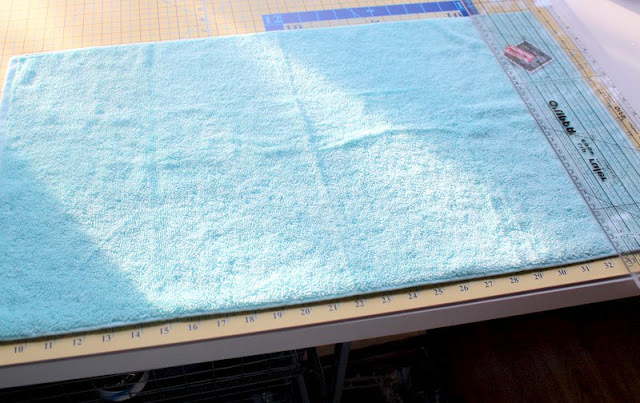 If you need to use a larger seam allowance because you can still see some of the extra hand towel, feel free to do so…..no harm done. 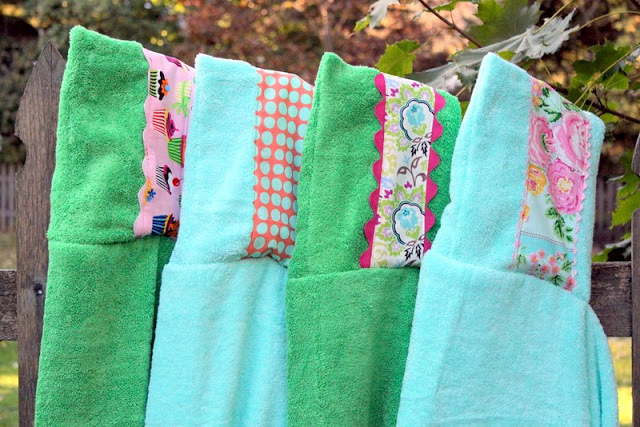 Here are four hooded towels for my two special little ladies! I might applique their initials onto each towel in coordinating fabric…….I think that would be a lovely finishing touch. I just need more hours in the day……. For the towel above, I used a standard-sized ric-rac. You could also omit the ric-rac altogether and just press your fabric under. You could also trim the hood with coordinating ribbon as well. 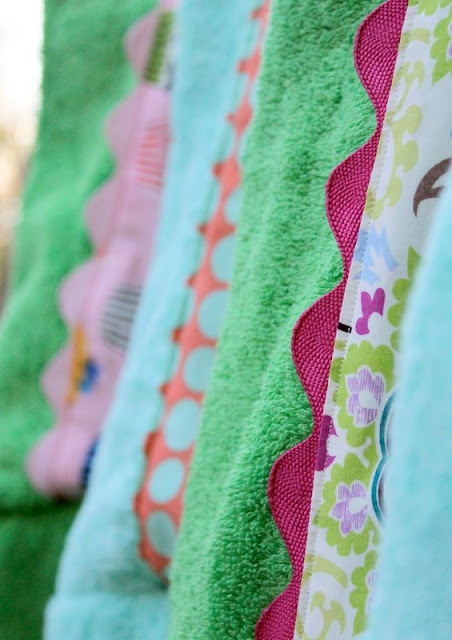 I wasn’t planning on having my girls model these towels, but when they were outside with me taking pictures, they were begging to wear them……..they looked so warm and cozy! I hope you enjoyed this tutorial. Please let me know if you have any questions or if any of the directions need clarification. Happy holiday gift making! Stay tuned for more fun gift giving tutorials. Anyone else planning a handmade holiday? Two Giveaways and Two Winners! 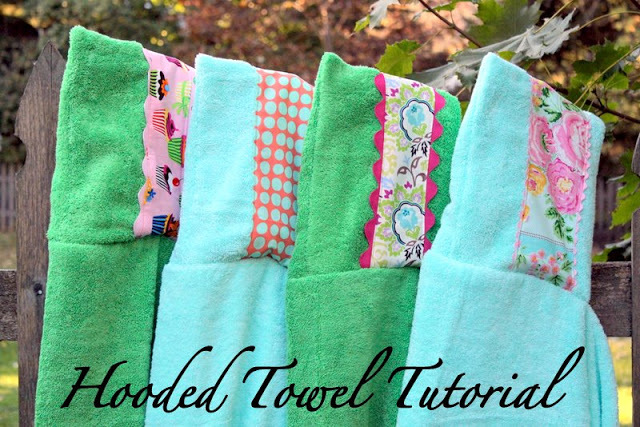 What a great project, especially for the little girl that loves hooded towels but doesn’t fit in the toddler size hooded towels, anymore! Thank you!! Not too early to think about Christmas for me. I have also committed myself to handmade gifts (we’ll see! ), I love your version of the towel. 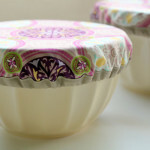 Kauffman’s Sweet Tooth fabric is one of my favourites! Your daughter is adorable. This is fabulous! I see baby gifts in my future for all my prego friends! How creative of you. I would love to make something like that, too. Thanks for sharing your wonderful idea. 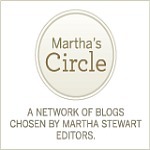 What a great idea for those with kids, plus: YOU TRULY DO BEAUTIFUL WORK!! I can not or should I say do not sew…but I really want to try to make these. Thanks for the great pictures to lead me through the project. I really love this post as well as your other posts!!! Your blog has really inspired me to be more creative and sew more. Thank you so much for all your posts and sharing of your creativity!!!! Great minds… eh? 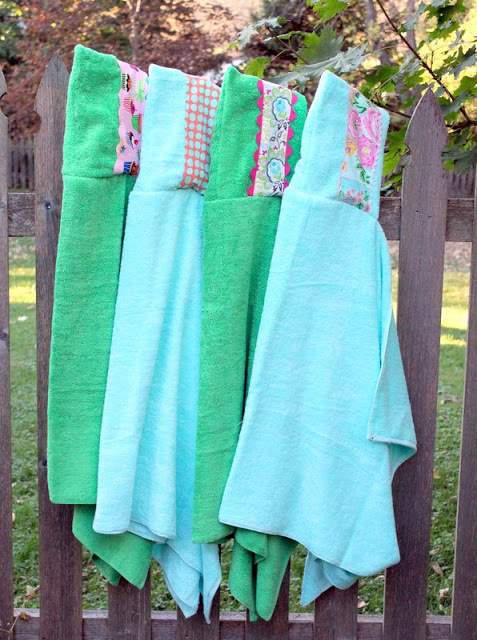 I really like the way your towels turned out! I’ve been looking for a tutorial that’s worth using…yay for finding you! 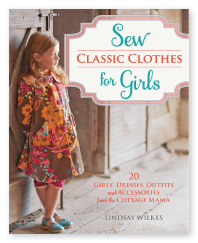 Christmas sewing for my daughter here I come! I made these and your tutorial was great. I actually got 2 bath towels because the hand towel felt thinner. I just cut it to match a hand towel in the house. 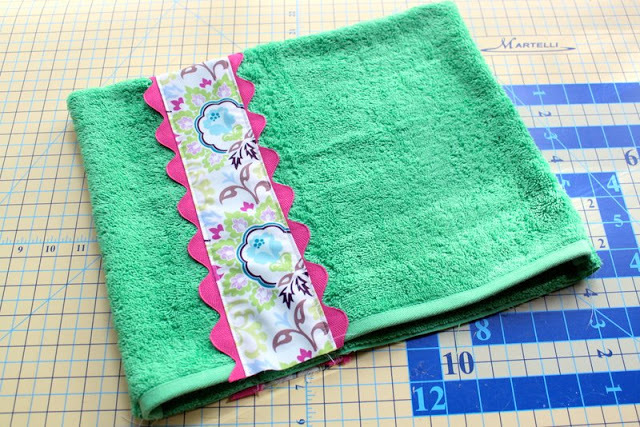 I used the extra material to make a wash cloth! So cute! Thank you so much for this tutorial! These would be great for the summer also. I think that my goal will be to do some for Christmas, but also do some for the little ones that come down for the pool. Love them. Thanks so much for sharing. 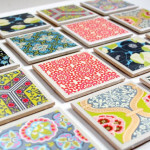 I saw these and love them! I am going to attempt this project for baby shower gifts for several of my preggo friends. Thanks for sharing! These are beautiful!!! I can’t wait to make a few for my kiddos! This tutorial was fantastic. I just made one and the directions were very simple and straight forward. Can not wait to make more! 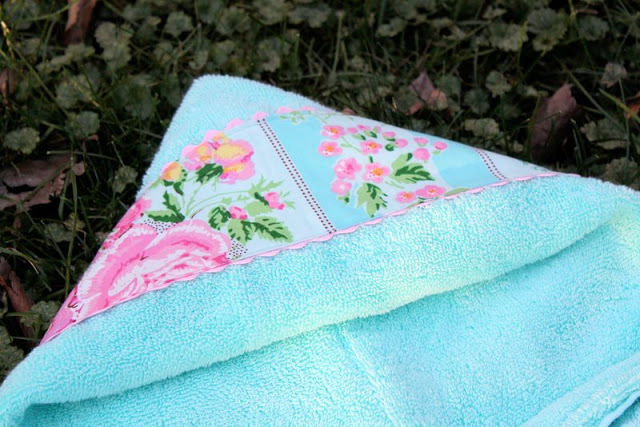 What a cute DIY baby towel. Great tutorial! This is very impressive. 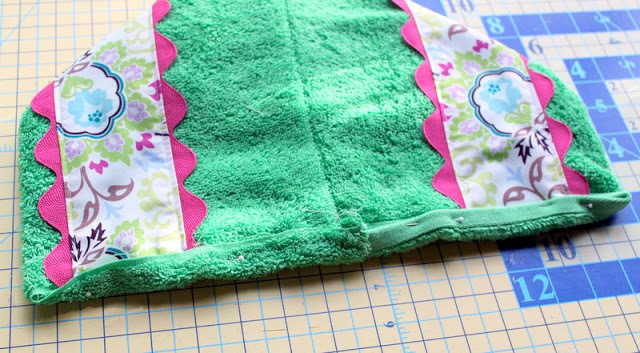 Thanks for taking time on this tutorial for people like you who find joy in making kids towels. Thank you for this wonderful tutorial! 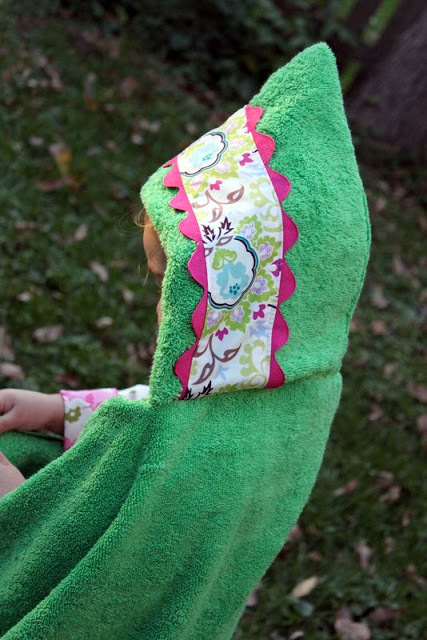 The hooded towel was the first project I’ve ever sewn! Love your tutorial and easy, step by step, instructions. 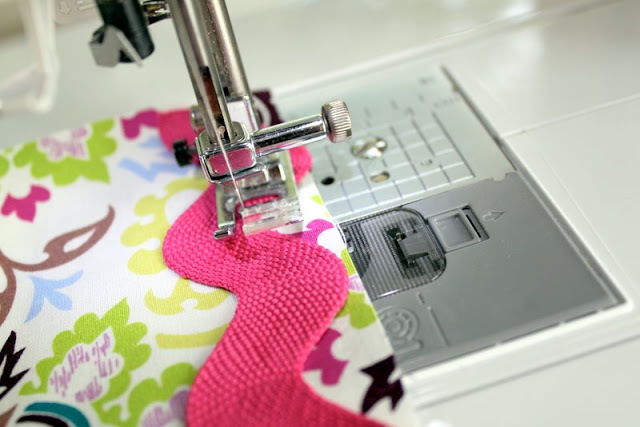 Adding this to my list of “things I want to sew”. Think my granddaughter would love it. 1. 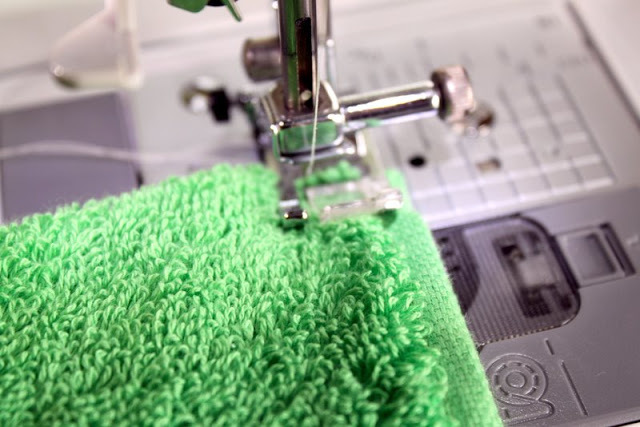 Do you wash the towels before sewing? 2. 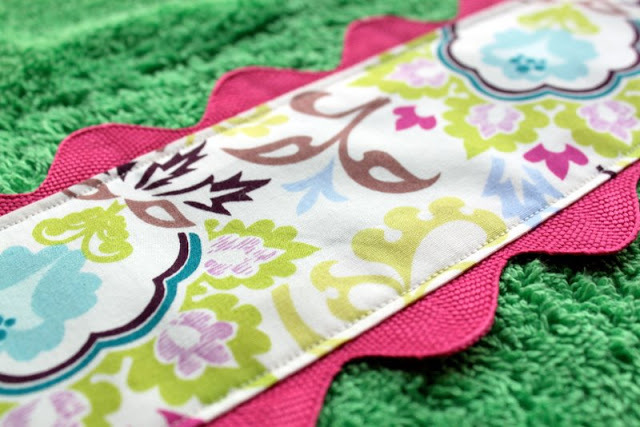 Would you recommend using hand towels or wash cloths for babies? HI there. I just wanted to say that I was looking all over the internet for an idea to make a hooded pig animal towel for a baby shower gift. I couldn’t find one at all, but stumbled onto your hooded towel instructions. It was different than I USED to do mine. I followed your design and then added some Piggie flare. It turned out amazing! Thanks for posting this. What kind of towels did you use? They look so soft and cozy! LOVE these!!! A little tip for the hood part. 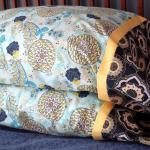 After sewing the strip up the side, fold the top corner down and sew it down, it creates somewhat of a pillow for the baby’s head and doesn’t have a point when you fold it right side out! Great. thanks for sharing such a wonderful and helpful idea with great tutorial. Thank you for this! 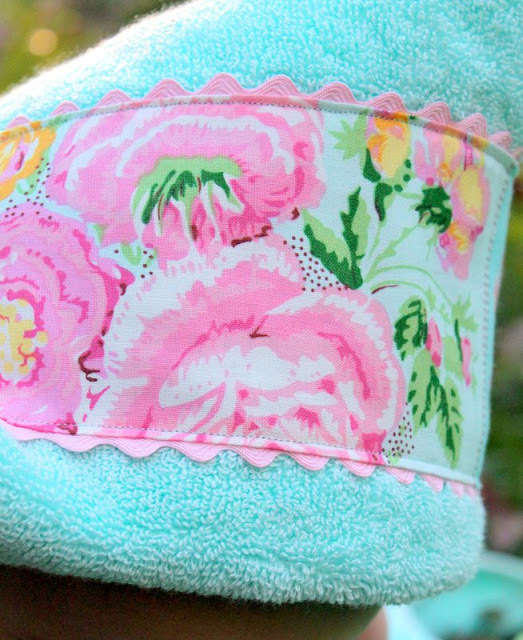 These towels are adorable. With three babies due in the next two months to family members (granddaughter,great-niece and great-great niece) along with numerous young relatives, I see several of these being made for gifts. I’m planning to make some for home, but also for the pool this summer! 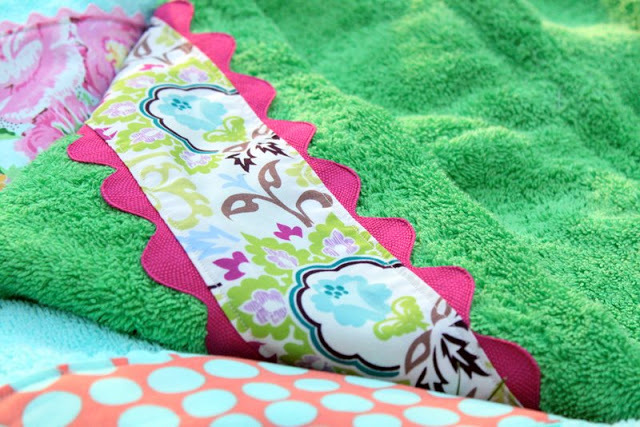 My kiddos always get so cold after a swim and these will be perfect made in pool-side theme colors and fabbrics. 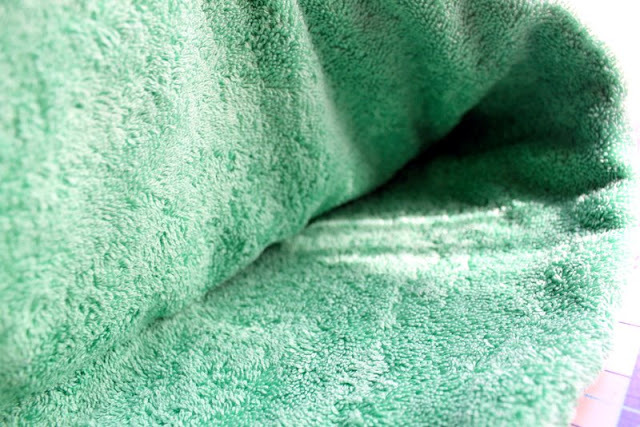 whether you’re a massive wholesaler, an embroidery service supplier, or simply a one that wants towels for an occurrence or faculty, the location is your address for all Wholesale towels, Bath, Hand, washcloths, and Beach towel want. These are adorable. 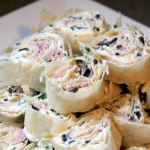 I would like to make them for my great grandkids this Christmas. Thank you. 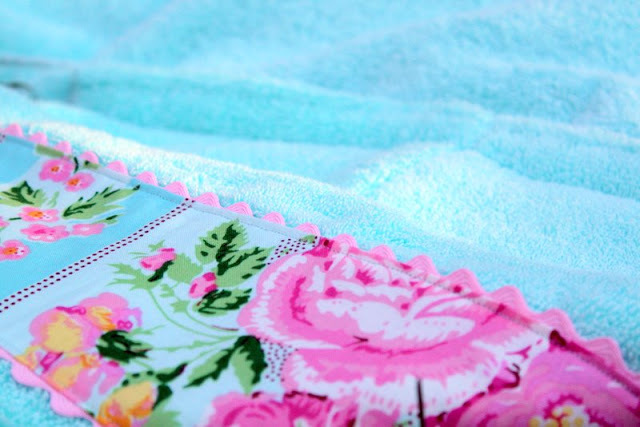 I have been making these bath/beach towels for the last twenty years. All of my granchildren have received at least three of these. Too, I have been giving them out as presents for the new babies of some of my friends. Everyone receiving them, really enjoys them. Glad to see someone else has come up with a similiar idea. Thanks for the great tutorial! 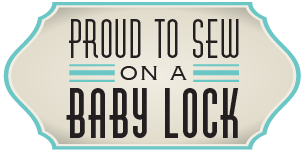 I made one for my daughter and it is absolutely adorable. Thank you so much!! I just made a “pooh bear” one for my daughter for Christmas and it was so easy that now I’m going to make a batman one for my son. What a great idea! Everybody loves flowers and many of us wish to have a flower garden in and around our house. But the availability of space is the problem for everyone. With the rising space constraints, the demand for readymade and non-staining artificial flowers and plants has become a good choice. Just made this for my daughter’s birthday and made a matching towel for her baby doll using a hand towel and a washcloth. Thanks for the super easy directions! This is my new favorite gift to make. Thanks for this information. Its really nice of you. 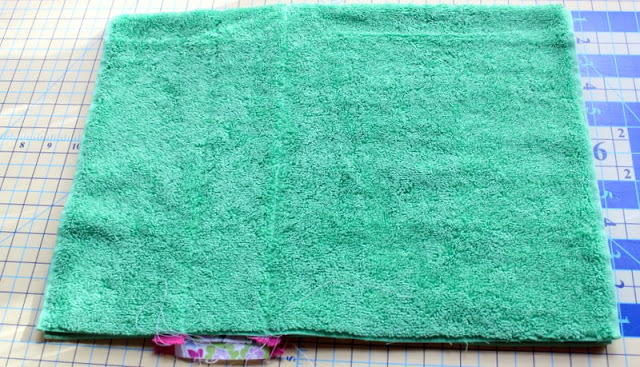 I am trying to make this towel and the problem I am having is when I sew the edges up so to not expose the raw edges after I have created the hood it is too thick and I cant sew it. I don’t know how it would be thin enough to sew to the other towel after that either. Please help!!! Just made two of these for my twin niece and nephew. Turned out soooo cute. Thank you for a great tutorial! Just found your bath towel tute. WOW!! Love these. Could have used one several times over. 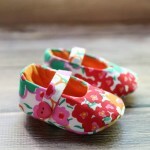 These are a definite do on my list for my 2 yr old great-granddaughter. She would rather be in the water than not so this being summer I know they will be appreciated and well used. 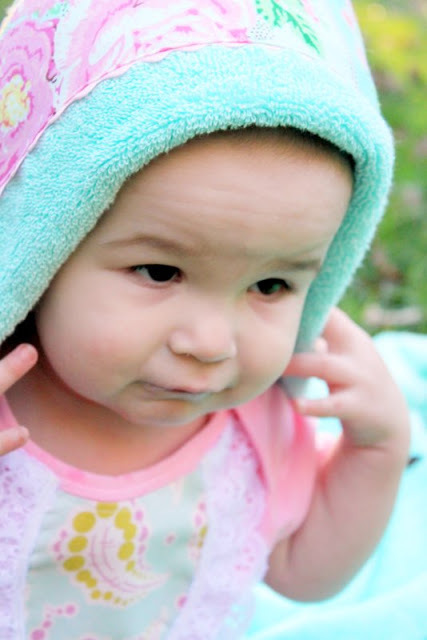 She and her mom both had baby bath towels with hand cloths for the hoods. It never occurred to me to simply adjust the size of the hood as a baby grew. Thank you for your great tute and time investment for all of us. How would u make it so it just slips over head for the beach so they could walk around?